I've been reading books that are making me bawl my eyes out lately, and this one did the job exceedingly well. Sarah Pekkanen fleshed out real people in an effortlessly convincing way, and has a fierce heart-tugging story line to go along with them. Julia and Michael are high school sweethearts from West Virginia. They grew up with dysfunctional families and as soon as they graduate, they move to Washington, DC to begin a new life. Incredibly smart and always antsy, it's Michael who takes them completely away from their shabby upbringing by creating an incredible, yet simple, product that turns them into multi-millionaires when the company goes public on the stock exchange. As they grow up into this rich life, they also begin to grow apart from each other. They become, to Julia's dismay, like one of the tragic operas she loves - a distant marriage of two people living separate lives. If not for her friend, Isabelle (who has her own heartbreaking story), Julia would be very much alone. Life has become altogether different than what was planned. But it's after her husband suffers cardiac arrest during a meeting, whereupon he is dead for over four minutes, that becomes the strangest of them all. When he comes back, he's ready to change in a completely different way. Julia's astonished as he emphatically states that he valued the wrong things in life, and he's going to give away his millions and spend more time with her. He asks her to give him a few weeks so that he can prove how much they can be the couple they once were. But can Julia really give up the lifestyle that she's become accustomed to? 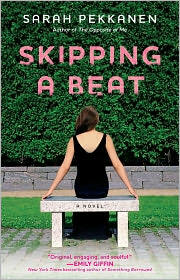 Skipping a Beat is told from Julia's perspective with the occasional flashback to help round out the story line, and I found her to be compelling and relatable. Now, mind you, she lives in a $9 million home and has hundreds of thousands of dollars in jewelry, but it didn't matter to me. Julia is very much the girl from her days before money, but she certainly has gotten used to the extravagant luxuries. Because of this, she's realistically conflicted, and the ease of which it's written made it simple to place myself in her shoes. She could be me, or one of my friends. My first thought was exactly as Julia's: If he wants to fall back in love again, can't they do that and still keep all the money? For her husband to start giving everything away just so he can spend more time with her, to fall back in love with her? Wha?! But, but, I spluttered to myself... what about the ease of life, the convenience of having everything that you want? How can he give all of that away? I loved, loved this book. With characters I couldn't get enough of, from Julia's best friend Isabelle to the brilliant and quirky kid named Noah, this book was a treat from start to finish. And with it all, Julia's love of opera kept me even more entranced. I had forgotten how much those soaring tragedies can pierce right into you - it's because they so easily represent real life. And that is how I fell in love with it all. The book, the characters, the vision Michael had to draft a new marriage with Julia. I found myself clutching the book, hunkering down in my couch, turning the pages. My husband asked me if I was going to bed, and I could only weakly wave my hand to him over the back of the couch, as I prayed that he wouldn't walk around to see why I wasn't talking. Yep. I was a blubbering mess. Sarah Pekkanen has created a new lifelong fan in me. I'll be eagerly awaiting her next book and will get The Opposite of Me to tide me over. And also downloading opera to my computer like there is no tomorrow. Sarah Pekkanen is also the author of The Opposite of Me. 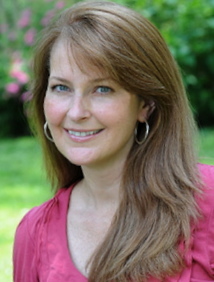 Her work has been published in People, The Washington Post, USA Today, and The Baltimore Sun, among other publications. She writes a monthly column for Bethesda Magazine and lives in Chevy Chase, Maryland, with her husband and three sons. FTC Disclosure: Thank you to the author for providing me a copy of her book in return for my honest review. I think my mouth dropped open as your review went on. The next chance I get, I'm purchasing this book! I don't know how else to describe it other than it sounds... enthralling! Intriguing. I'm with your first reaction: wha what? Can't we keep at least some of our millions to travel the world together, fall in love over and over in different locations, without worrying about the money? I mean, let's start by not attending business meetings that give us heart attacks, right? Oh, moving back to the States has definitely upped my materialism... Hmmm. I knew you'd love this book! It really makes you think, doesn't it? This book sounds great! It's definitely on my list now. I like how you talked about her being a "girl from her days before money," yet still being relatable. That's a very hard character trait to write, since money does change some people dramatically - especially in the age of lottery winners, one product wonders, and insta-celebrities. A book that makes me bawl my eyes out? You know sometimes a girl does need that! I think I need to read this! Great review, I have not heard a bad thing about this book. I must go out and find this book. Wow, what a great review!! I did think this looked good but now I feel like I HAVE to read this!! You know, from the cover you'd think this was "just another women's fiction". But apparently it is not. I've heard over and over again about the character development and the big questions asked. I just shake my head. My third clone can read this one. Everyone keeps saying how great this book is, so I think it's about time I added it to my wishlist. Thanks for the review! Sadly, I couldn't connect with the voice however, AMAZING review. blubbering mess?? Makes me want to read it because I love books that touch me emotionally!! i read and reviewed this one last month and did enjoy it but it didn't reach me quite the way it did you. pekkanen did a great job with characterization but i found the ending a tad too much for me. your review put a smile on my face, though. i love to see other readers really enjoying books! This sounds like such a great book, and I just loved reading your thoughts on it, and hearing about your reactions to it as well. I agree that it doesn't sound like your typical women's fiction, and that I need to get to it soon. I also wonder why they couldn't have kept the money. It seems like it would work out just fine, in theory. Fantastic review, Natalie! i'm ready for a new book and after reading your review this is it! thank you!! Everyone is crying over this book! I'm definitely going to have to get this one. Sounds like a wonderful story and a great one for a book club pick. what a beautiful review! i will definitely have to find me a copy of this book!